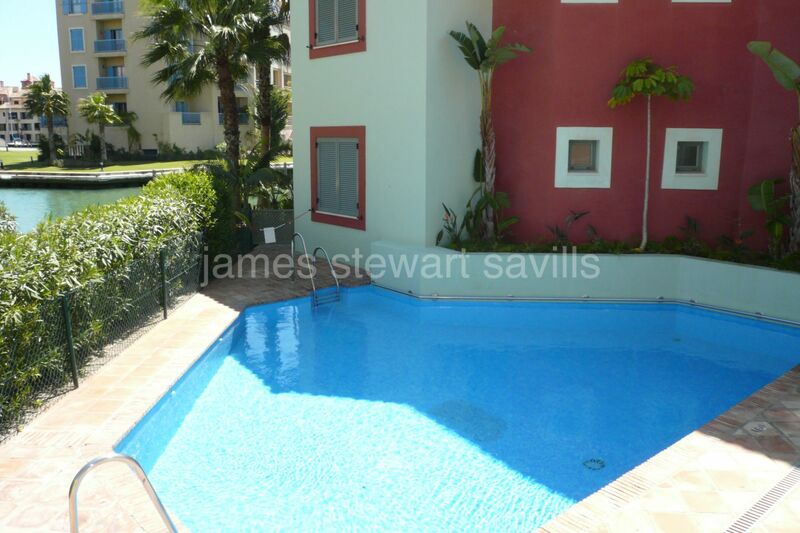 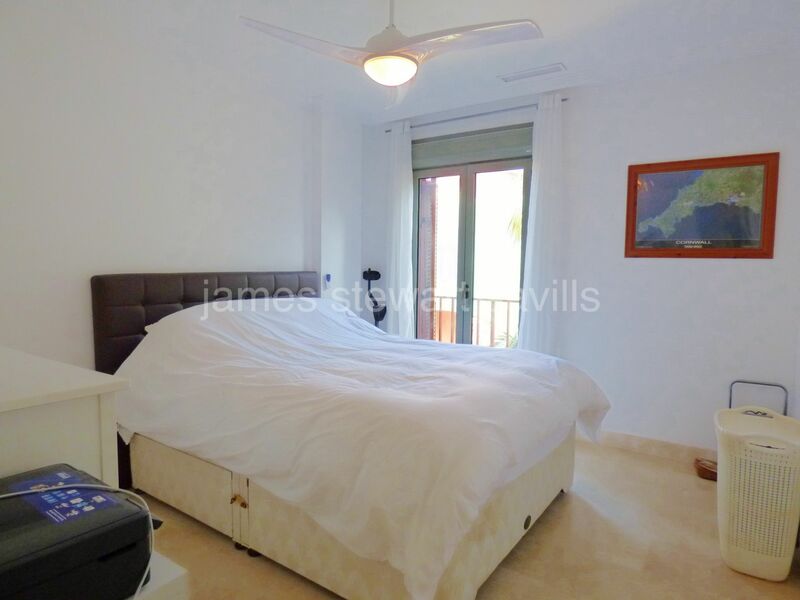 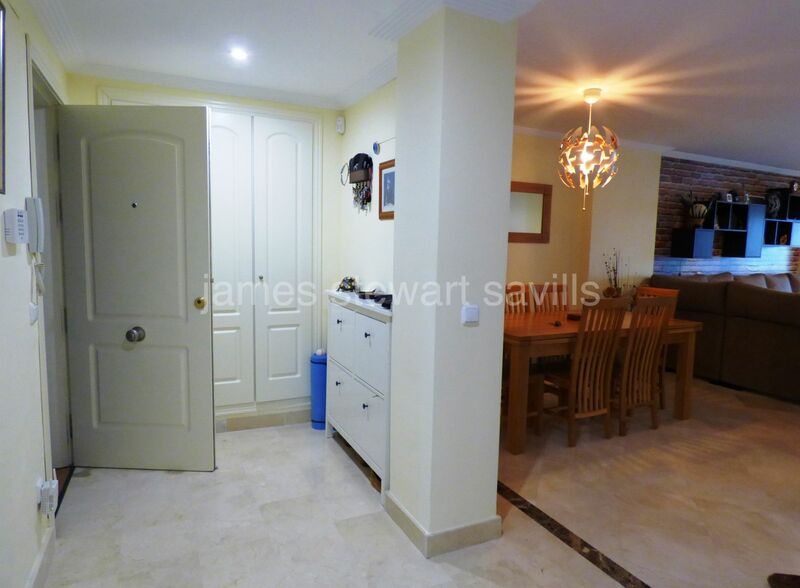 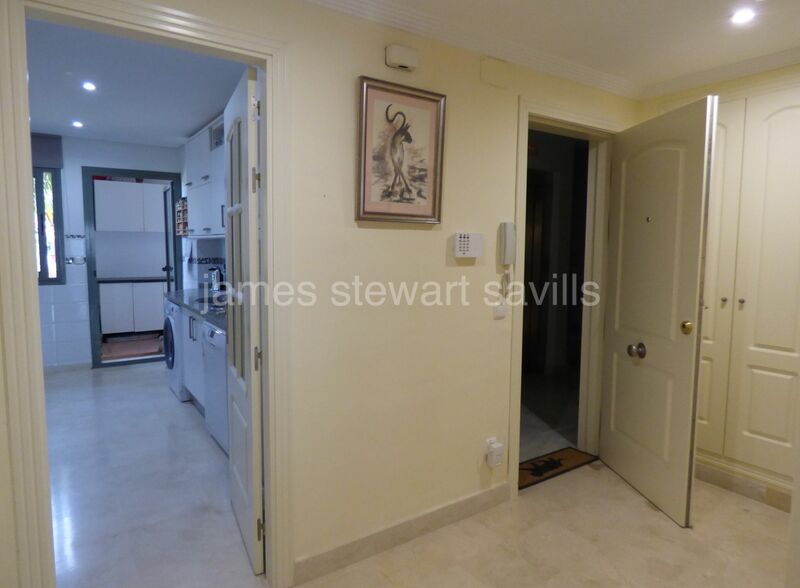 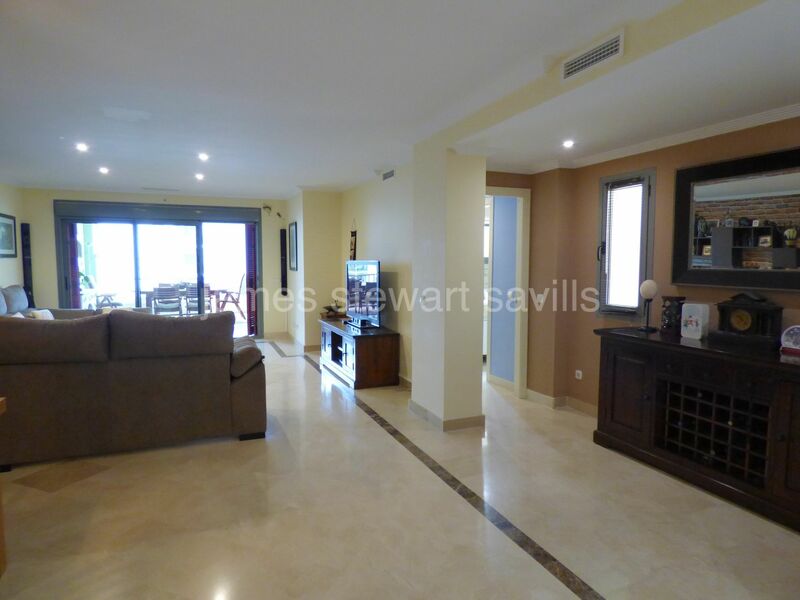 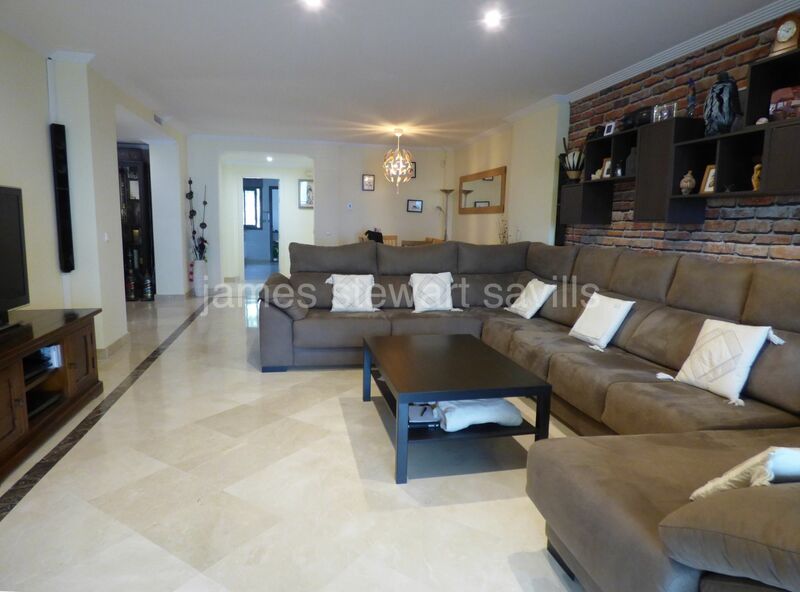 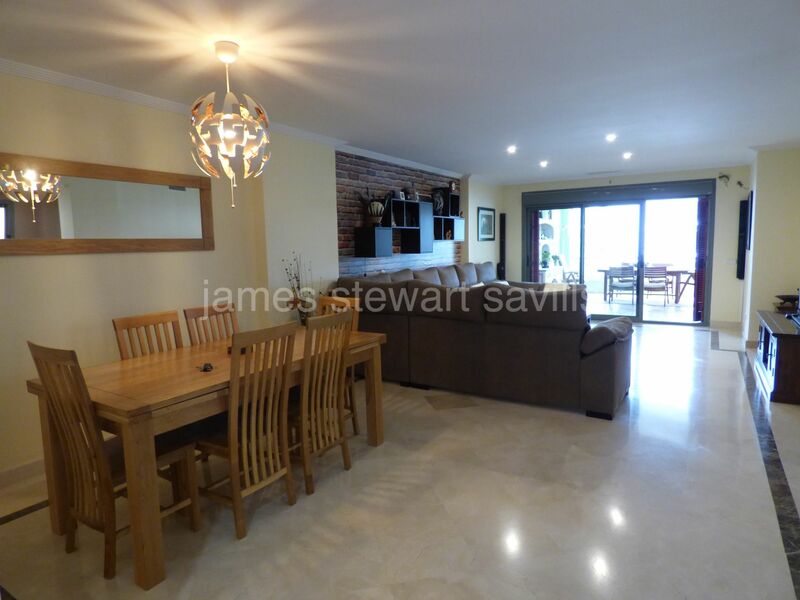 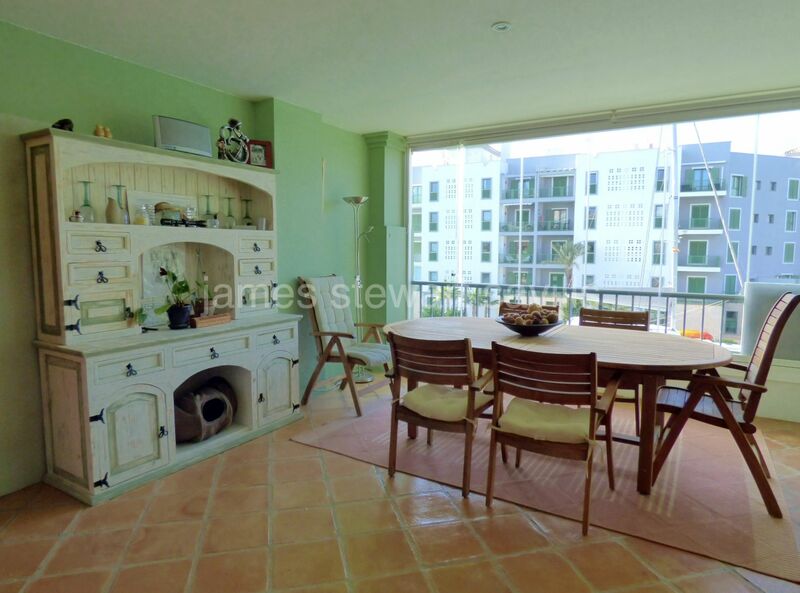 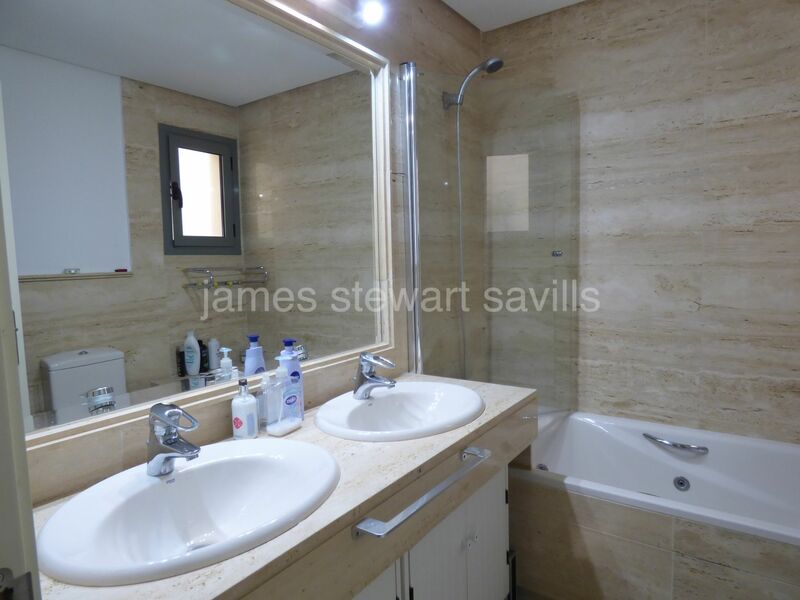 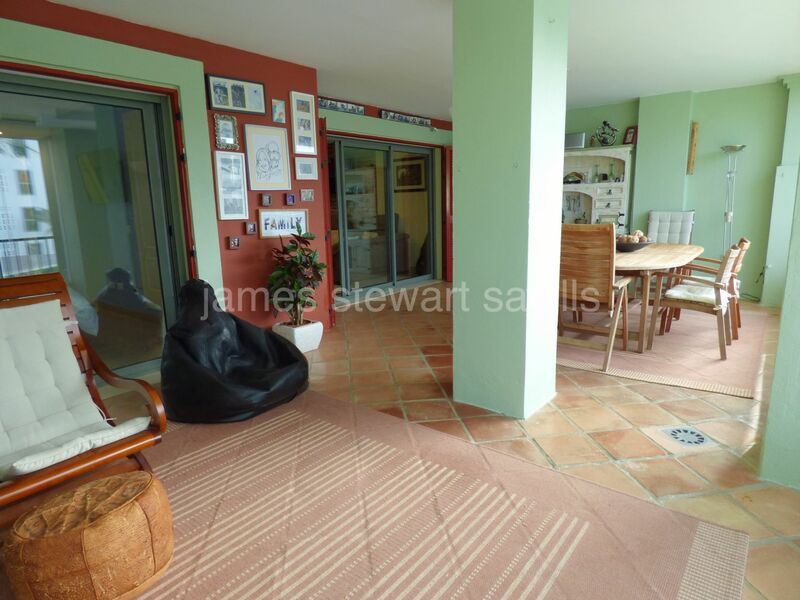 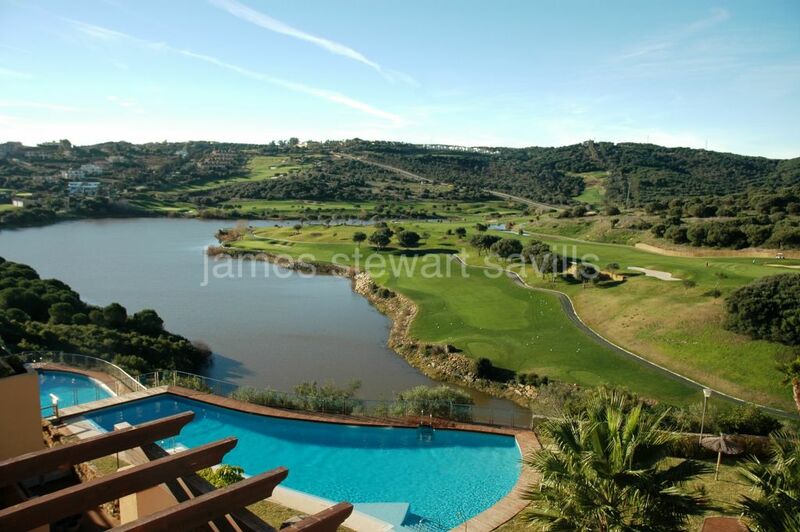 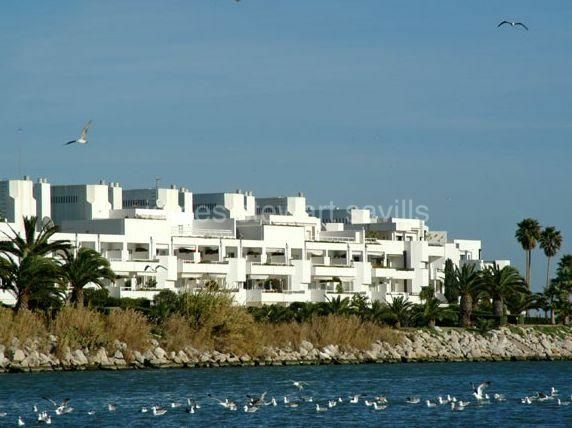 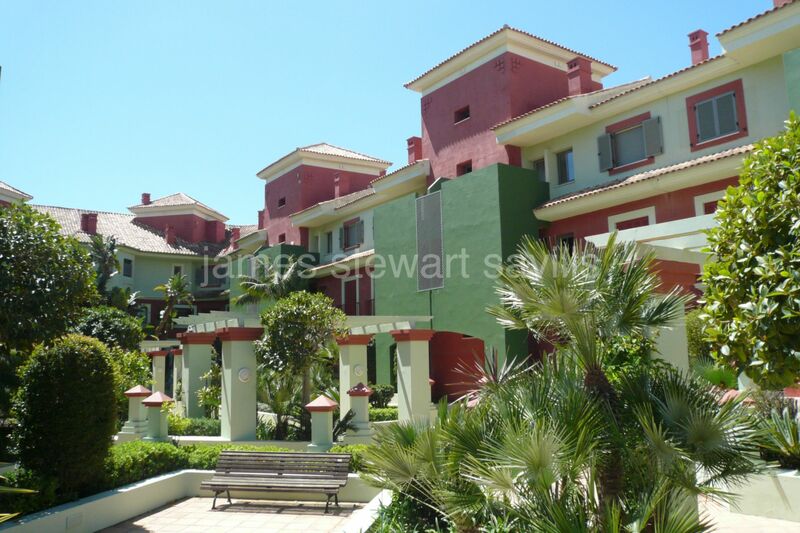 A spacious 2 bedroom 2 bathroom apartment in the Isla Tortuga building in Sotogrande Marina. 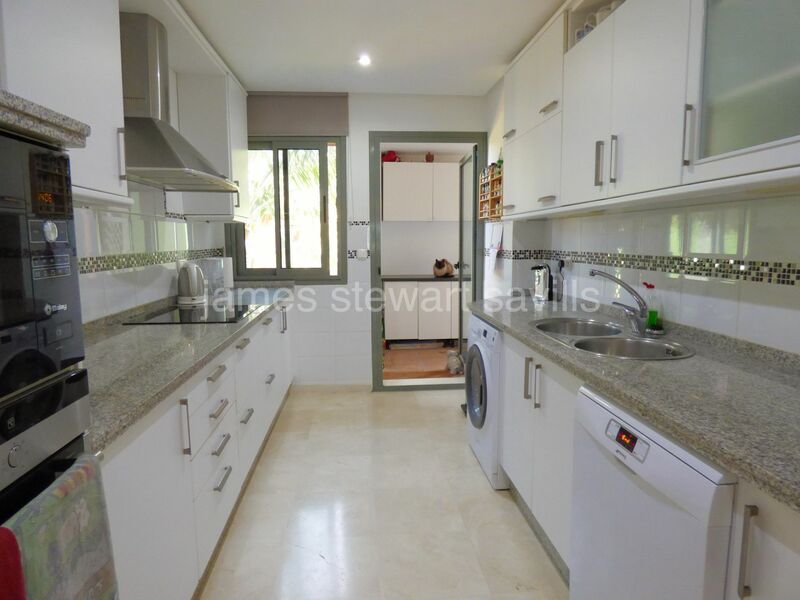 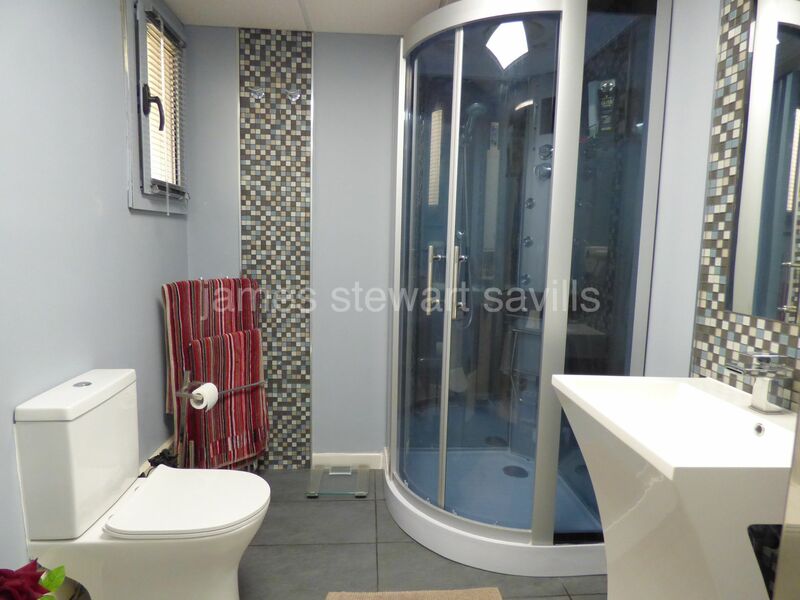 The apartment consists of a large rectangular living/dining room, adjoining covered terrace, kitchen with great closed utility area, 1 en-suite bedroom with access to terrace, further double bedroom and bathroom. 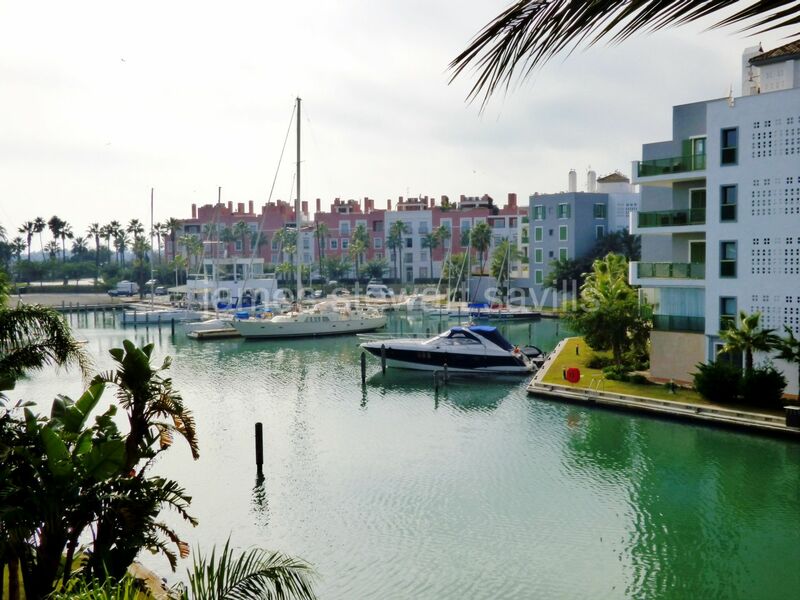 The covered terrace which has pretty marina views, has retractable glass curtains and is adapted for year round use. 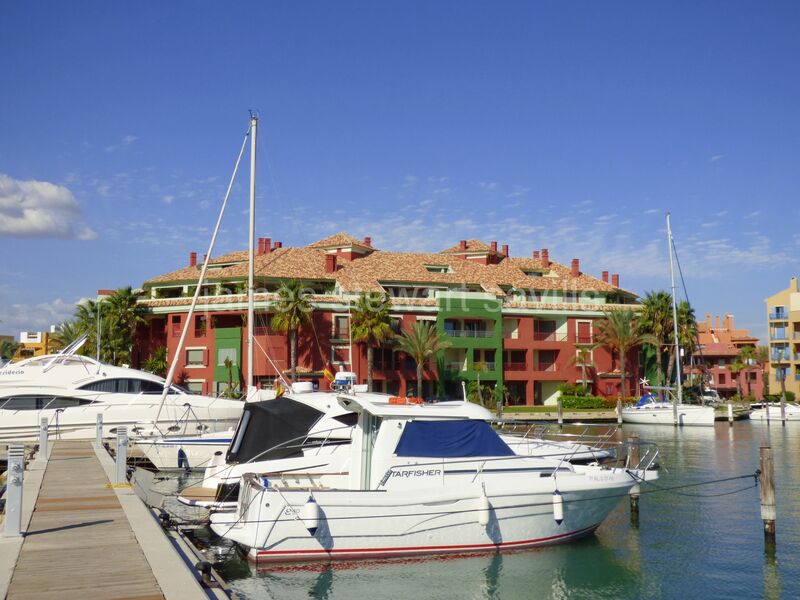 Isla Tortuga has a very nice entrance area, doorman and small communal pool. 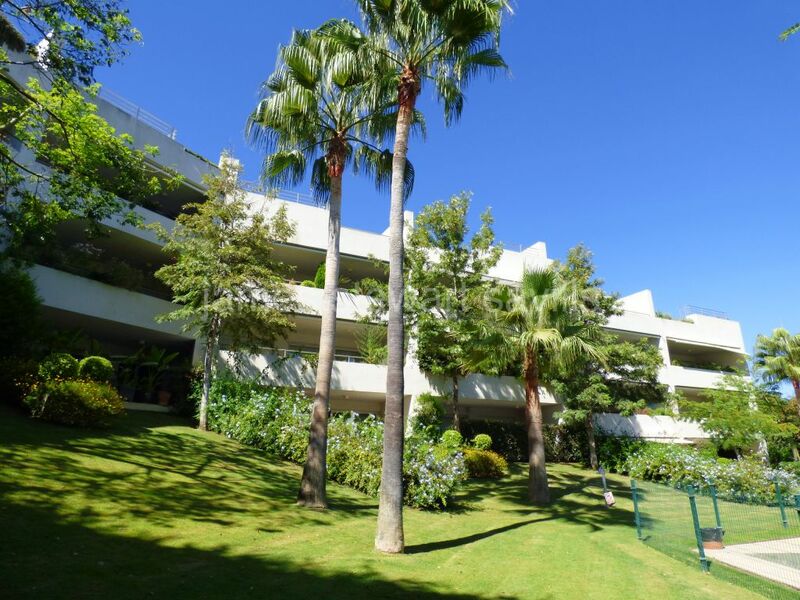 One assigned parking space in the underground parking is included in the price.